We crafted authentic stories on location. Our client gained global exposure and recognition. In more than 100 countries, Ashland provides the specialty chemicals, technologies and insights to help customers create new and improved products for today and sustainable solutions for tomorrow. 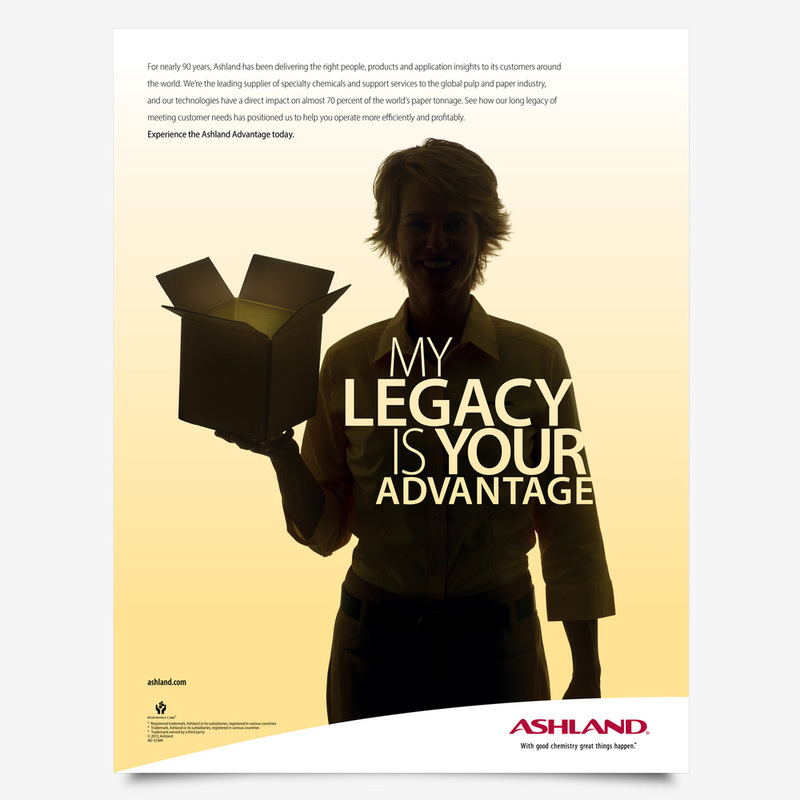 Our campaign focused on the tissue/towel, printing/writing, pulp/paper and packaging markets – clearly identifying the advantages in working with Ashland. We developed a comprehensive strategic global activation plan, core creative concepts, high quality custom content and standards for implementation.